One of the most consistent arguments from the left opposing this #cjreform legislation is that it utilizes a Risk Assessment Instrument. First, for those that don’t know, a Risk Assessment Instrument is an algorithmic predictive tool which predicts dangerousness, in this particular instance, based on a number of static factors which will be evaluated using that tool. The irony here is that many of the same people who were, only a few months ago, railing against Attorney General Jeff Sessions having control a First Step Act risk assessment instrument have, apparently, no problem with a new Attorney General having NO risk assessment instrument to check his or her discretion. In the context of the First Step Act, the alternative to the RAI is not fairness, it is the unfettered discretion of the Attorney General, the Bureau of Prisons, and correctional officers and prison administrators. The thing to remember is that while nobody is getting would be getting out now using time-credits, but if they did and there was no risk assessment tool, the deciders would be the same people (but without a tool ). I am not arguing that RAI’s are not worthy of suspicion, I am arguing they can’t be evaluated in a vacuum. In addition, while there are few checks on the exercise of decision-making power for these people, there are MANY transparency and accountability measures built into the First Step Act’s Risk Assessment Tool. There is a long history to the idea that “nothing works” in the field of criminal justice that is beyond the scope of this analysis. The more relevant question here is whether the skepticism epitomized by Harcourt is warranted. Just as the proponents of risk assessment have, by and large, neglected the distinctions we draw above, so too have the most prominent critics of risk assessment neglected careful consideration of exactly what risk assessment is, what questions it can legitimately and appropriately answer, and how to implement “risk knowledge” when it is addressed to appropriate questions. Rather than embrace actuarial thinking uncritically, or reject it entirely, our analysis recommends a deepening engagement with the assumptions underlying risk assessment. Just yesterday, a CBO report scoring the bill indicated that the First Step Act would result in release or release to supervision for 53,000 inmates over ten years, it seems incredibly questionable to me how — on the basis of concerns over a transparent risk assessment instrument — it makes sense to vote no and prevent these folks from reuniting with their families. We should always remain vigilant, but this risk assessment instrument is entirely transparent. 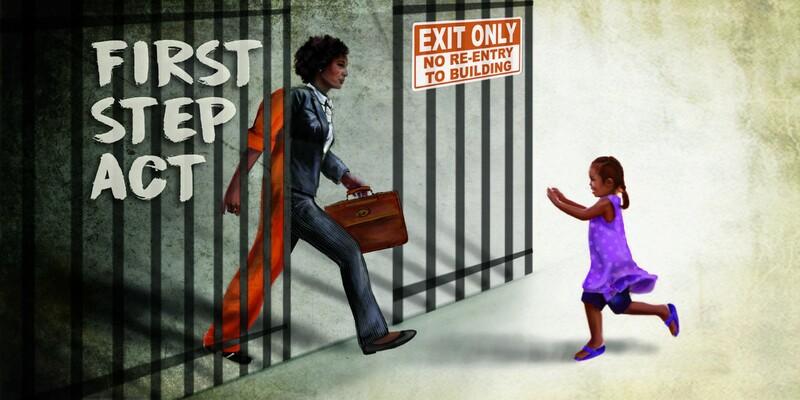 Tell your Senators to VOTE YES on the First Step Act next week!